My daughters didn't want to take down the Christmas tree so we made it into "The Holiday Tree". Each month, we will use a theme for that month, this month is hearts, cupids, garland, etc. all from the dollar store. This is a great idea love it! Teachers could use this idea in the classroom. After Christmas, the tree could have snowflakes, snowmen and winter vocabulary words on it, Spring ornaments could include Easter bunnies, lambs, tulips, sentences on strips of paper about new beginnings, spring time. The last month of school the tree could depict summer with sunshine, summer plans of students, a count down chain Garland for the end of school. 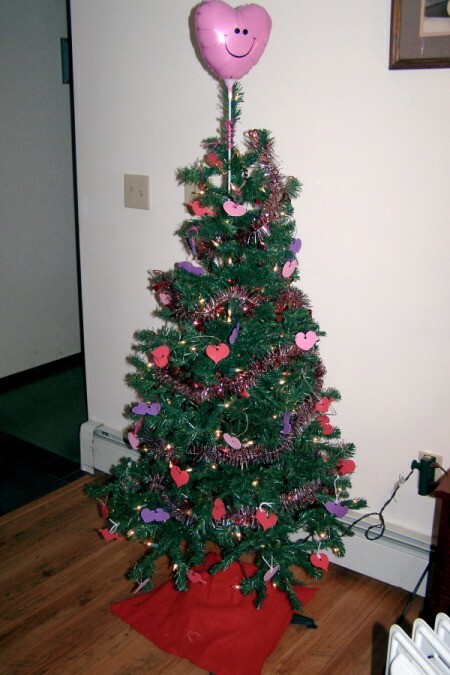 The students could make the ornaments for each tree month or bring small toys to decorate tree.